· Zoom objective magnification: 0.7X~4.5X. Working distance is 103mm. · Adjustable high luminance LED coaxial illumination, AC100~240V, breadth voltage input. Main advantages: its high contract and high definition are the same level to the other international similar competitive grade, but the price is less than those products.It can see including LCD, chips, wafer etc. almost the whole objects. 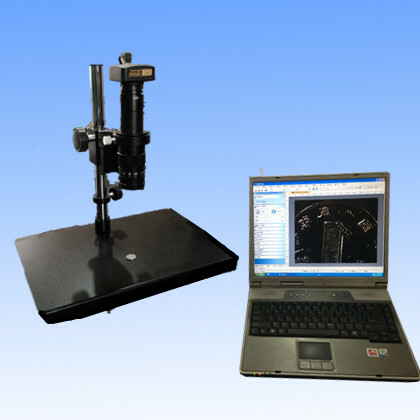 Main sphere of application: it uses to observe, analysis and checking-up wafer fab, chips, LCD etc fine test with high reflectivity and generic objects high clearly imaging observing, analyse. Especially fit for the high level research. Adjusting explanation: Loosen two screws above the Holder, the CCD attachment may revolve 360°so as to adjust the direction of CCD; meanwhile loosen three screws of the annular knurl part, and revolved the annular knurl part, it can adjust the high and low on focus. The top three screws can be adjusted when the CCD target surface isn't in the central. 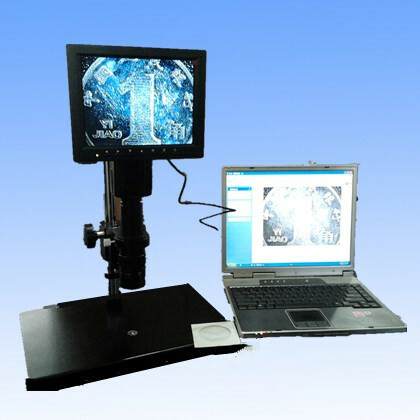 Contact us if you need more details on Video Microscope. We are ready to answer your questions on packaging, logistics, certification or any other aspects about LED Screen、Monocular Microscope. If these products fail to match your need, please contact us and we would like to provide relevant information.